3 What is an itch? 5 Which foods to consume? Atopic dermatitis (commonly known as eczema) is an inherited, chronic inflammatory skin condition that usually appears in early childhood. Characteristics of eczema include: parts of the skin are inflamed, causing itching, redness, rashes, often blisters containing clear fluid. The explanation for the occurrence of eczema is a deficiency or absence of a specific protein in the skin. 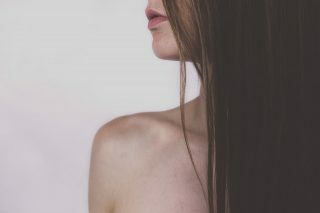 According to the National Eczema Association , there are 31.6 million with eczema and at least 17.8 million with moderate to severe eczema or atopic dermatitis in the US. fig01: Skin manifestations of elderly AD: extrinsic form, Cases 1–3; intrinsic form, Case 4 (a) Lichenified eczema on the upper back (Case 1). (b) Facial erythema (atopic red face) with Hertogh’s sign (loss of lateral eyebrows) and Dennie-Morgan infraorbital folds (Case 2). (c) Dirty neck (Case 2). (d) Lichenified eczema around the scarcely involved elbow fold (reverse sign) (Case 2). 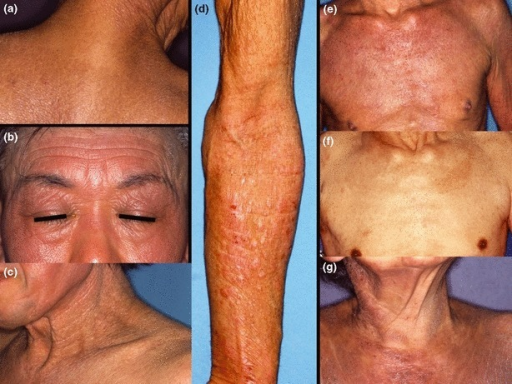 (e) Eczematous erythroderma (Case 3). (f) Eczematous lesions mostly disappeared after successful treatment and the cured skin shows a normal appearance (Case 3). (g) Lichenified eczema of erythroderma on the trunk and neck (Case 4). Typical changes in the skin can be located anywhere on the body, but usually, the hands and the feet are most affected. The course of atopic dermatitis is thrusts – with periods of exacerbation and attenuation. Atopic dermatitis is a complex disease caused by a variety of factors such as genetic condition, an altered structure of the skin and some environmental factors. Clinical studies have found mutations on several different chromosomes, some of which are very common to those of psoriasis. If the patient has a parent with atopic dermatitis, the risk for development of the same skin symptoms increases dramatically. Eczema is an inflammation of the skin, which is divided into two types – exogenous (which appeared under the influence of external factors) and endogenous eczema (under the influence of internal factors). The disease can occur on any part of the skin surface, but is most commonly it affects the arms, elbows, and face. Endogenous eczema has a relatively poorer prognosis and the only reason for is that patients cannot change their genetic predisposition to prevent the relapse of eczema. Common forms of endogenous atopic eczema (infantile, childhood, adolescent and adult), seborrhoeic eczema, stasis eczema, vesicular hand eczema (pompholyx), nummular or discoid eczema, asteatotic or xerotic eczema and unclassified popular eczema. f1-ccid-3-099: Atopic eczema affecting a young child’s face. Genetic predisposition of various diseases (e.g. asthma, allergic rhinitis) offer hints for the diagnosis of atopic eczema. 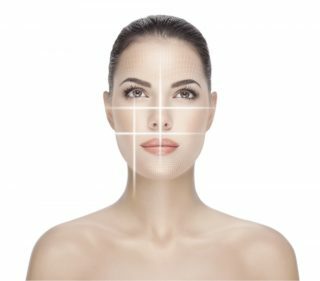 The generalized dry skin with fine scaling and superficial cracks on the skin surface especially in adult people is an easy diagnosis for the condition. However, some of these features may be mixed and not so clearly defined ones. Habitual scratching of the affected areas if often present and may result in visible marks on the skin. Exogenous Eczema or Contact Eczema occurs when the body parts that have been exposed to contact with substances that are able to induce an eczematous reaction. 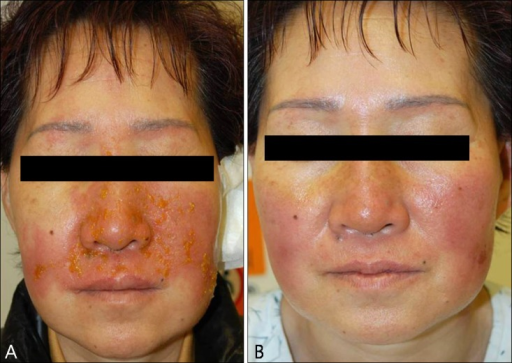 Figure 1: (A) Erythematous lesions with some yellow blisters on the nose and both cheeks. (B) Four days later, the lesions improved. This may result from a direct physical or chemical injury Irritant Eczema. This form of eczema will develop in most people if the irritant substance is in contact with the skin for a particular time and in a particular concentration. Repeated contact with weak irritants over a longer period will evoke Chronic Irritant Contact Eczema. 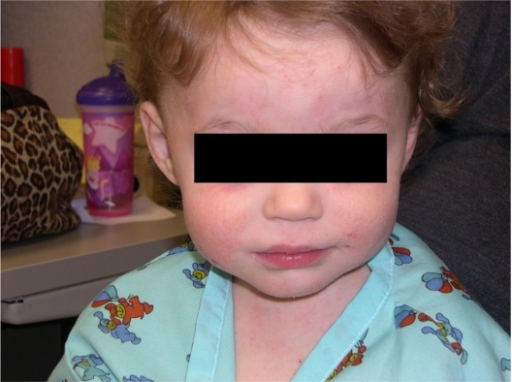 The prevalence of atopic dermatitis symptoms in children from 0 to 3 years of age is 19.3% .The first rashes on the cheeks and scalp and may seem very common to seborrheic dermatitis. Tight-fitting layers may appear on the scalp and behind the ears. Redness can be observed around the mouth and the lower jaw, most often caused by the consumption of baby food or the saliva produced by the body. The entire body and limbs may be excessively dry. At the beginning, clusters of tiny pimples forming a rash and flaky layers appear on the skin that later progresses into atopic dermatitis. 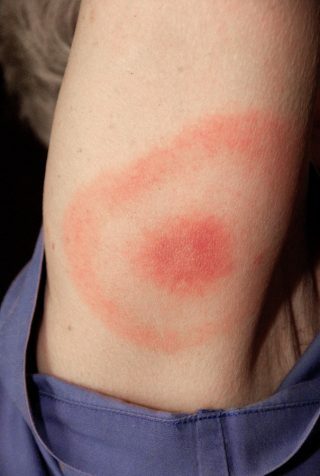 The itching comes several weeks after the occurrence of the rash. The skin stays dry, rashes are usually located in the neck and buttocks and legs. The itching is intense often very stressful. Adolescent and adult patients’ itching is present throughout the day and usually worsens at night, leading to sleep disorders and deteriorated the quality of life. Rashes grow bigger, may seem brownish and are spread are throughout the body. In more severe cases the entire face is reddened, the neck and the upper chest may be unevenly colored. Atopic dermatitis can be a sign of impaired function of a particular body organ – liver, digestive organs, kidney disease, bowel disease and others. Eczema can be caused by an allergic reaction to various skin irritants such as creams of dubious origin, bacterial infections, contact with filthy surfaces and others. Usually, eczema is not caused or aggravated by diet, but there are several foods which are considered to cause breakouts. While eczema causes stress, and stress may increase the energy with which you scratch, stress does not in itself cause eczema. Cleaning products remove the natural oils produced by your skin. This tends to make the skin dry and itchy and more sensitive to them. Sometimes the perfumes, body lotions, preservatives and alcohols in toiletries and make-up can be irritating. It may be best to avoid these, or only use bland products. Emotional stress is often associated with worsening of the eczema condition, but the reason why is unclear. Some people’s eczema symptoms get worse when they’re feeling “under pressure”. Others may become stressed, just knowing they have eczema, and this can make their skin flare up. The presence of house dust mites and their active digestive enzymes in a mattress, on sheets, in pillows or duvets is a risk factor in eczema. There are over 23 known and separate allergens from house dust mites, most of them are enzymes. Hot wash all bed linen weekly and clean well the entire place where you live in order to reduce the number of the mites causing skin irritations. Extreme temperature fluctuations such as very cold very hot and very humid weather trigger a flare-up of eczema symptoms. Try not to scratch the irritated skin, even if the itching is expressed significantly. This may affect the integrity of the skin, which may lead to penetration of bacteria and cause infection. There are various moisturizing creams that help relieve itching. It is considered that food sensitivity is one amongst the prime causes that can aggravate the origin of eczema. Amongst the sufferers, nearly 30% complain of negative reactions upon interaction with certain dietary products. Peanut allergies are quite common. This might be because peanuts contain several proteins not found in most other foods and the structure of these proteins stimulates a strong immune response – especially roasted peanuts! One direct link between milk allergy and eczema is when the ingestion of milk actually triggers the rash. Although milk is sometimes a trigger, there are many common triggers, including skin infection, irritants, the itch-scratch-itch cycle and various allergens in the environment. Chocolates containing high traces of these other food allergens are usually the real cause for a “chocolate allergy”, and are most likely what is causing you to have eczema breakouts or flare-ups. It is considered that eggs are the eczema trigger for many people. If you suffer from atopic dermatitis unsuitable foods for consumption include all products that consciously provoke disorder. 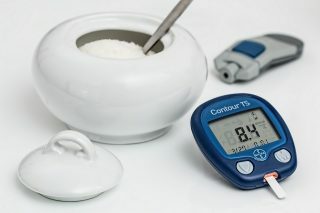 Foods high in sugar and carbohydrates (cakes, baked goods, and other sweets). In the presence of chronic types of dermatitis patients should not eat a lot of fish, eggs, soy products, eggs, mushrooms, beets, carrots and tomatoes, chocolate, cocoa products, honey, red berry, citrus, nuts, wheat and rye bread. It is also important to reduce the intake of potatoes, corn, buckwheat, cranberries, green peppers, lamb, apricots, peaches. Remember that the most accurate advice regarding your nutrition and treatment can be prescribed by a doctor as he is familiar with the specifics of your body, type, and course of the disease. One of the reasons (and also the consequence)for the occurrence of eczema is dry skin that can be overcome through a diet rich in beta-carotene, vitamin E, and essential fatty acids. It has a beneficial effect on cell growth and maturation. According to initial investigations beta-carotene (a precursor of vitamin A) protects the skin from oxidative stress provoked by free radicals. Foods with a high content of essential fatty acids reduce swelling because they support the synthesis of hormone-like substances called prostaglandins that, in turn, reduce inflammation. In some patients suffering from eczema abnormalities in the immune system are also observed and is recommended for such people (as well as people with a family history of allergies, asthma, and eczema) to consume immune stimulating foods high in zinc, vitamin C and vitamin E .
The antioxidant vitamin E protects cells from damage caused by free radicals and helps the healing process of the skin. Vitamin C restricts the release of histamine – inflammatory compound produced in the body as a result of a reaction to the allergens. Since the reaction of the immune system triggers the release of histamine, consumption of foods with natural antihistaminic properties – such as those that are rich in vitamin C and flavonoids quercetin and of luteolin, may interfere with the inflammatory response. Vitamins C and E are powerful antioxidants and neutralize free radicals. Vitamin E can be found in avocados, broccoli, tomato juice and sunflower. Vitamin E plays an important role in maintaining the immune system. Properly functioning immune system causes a normal response to the allergens associated with eczema. Zinc  can be found in beans, poultry, whole grains, and seeds. Since in some people suffering from eczema, immune abnormalities are observed, it may be helpful to consume foods with a high content of zinc – a mineral that enhances immunity. It is available in mango, carrots, sweet potatoes and spinach. Beta-carotene acts as an antioxidant that neutralizes harmful agents that could harm the skin. They are found in flaxseed, vegetable oil, and fatty fish . Essential fatty acids promote the release of anti-inflammatory agents in the body. It reduces inflammation, which often accompanies the onset of eczema. By providing systemic care including good hygiene, frequent hydration, and boosting local skin immunity, symptoms in eczema can be controlled and exacerbation periods significantly minimized. If you have mild to moderate eczema symptoms, you can rely on a wide range of over-the-counter medicines, available without a prescription. They are great for deep skin hydration and we recommend using the ones that feel “greasy” (usually in the form of lotions and creams), because they contain more oil-based compounds. Such eczema treatment products aim to maintain the normal moisture levels in the skin, nourish and protect it from the environmental irritants. If your baby, toddler or child is affected by eczema symptoms, you should try to find a milder formula, specially formulated for the most delicate skin. Carefully choose a product, indicating that it is suitable for your baby’s skin needs (we recommend reading our Best Baby Eczema Creams and Lotions article), as common eczema creams and lotions, intended for adults may contain irritants that can worsen the condition. Home remedies are great to maintain your skin condition. Eczema symptoms can be successfully treated with some common home remedies, which are usually available at your kitchen. So, in case you are willing to experiment, there are certain products with proven benefits on the itchy, irritated skin. The healing properties of this unique product should not be underestimated. It is a proven method for treatment of eczema on the skin. It keeps the skin clean and healthy as it has proven to softening effects. 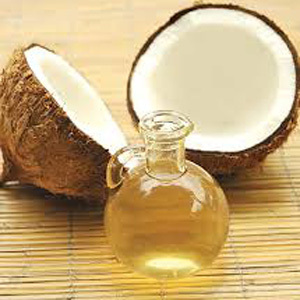 Coconut oil also contains antioxidants and. vitamins C, E, B1, B3, B5 and B6 and minerals including iron, selenium, sodium, calcium, magnesium and phosphorous. Furthermore, the magical coconut oil can be used for a long term because it is absolutely harmless and has no side effects. 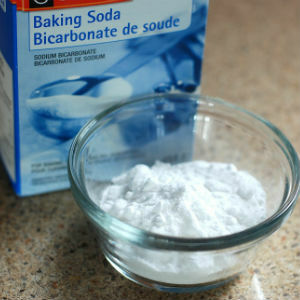 In 700 milliliters of water dissolve 3 teaspoons baking soda. You can bathe the affected areas with the liquid. After the procedure, you can also apply olive oil to the areas treated. 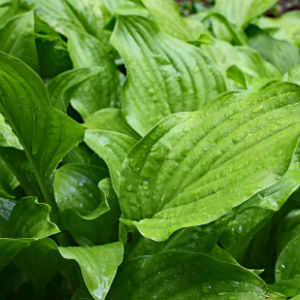 Plantain, which goes by the same name as the close relative of the banana, is sometimes called the “band-aid” plant. Thanks to the presence of iridoids, it has a very soothing, anti-inflammatory effect on the skin. (source) It also contains aglycone and aucubigenin – which have documented antimicrobial activity – and allantoin, which supports skin healing. Present as a component in most traditional remedies for eczema treatment. 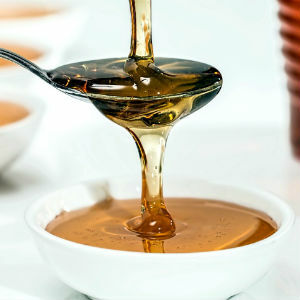 Apply some raw honey on the irritated skin and leave it on the affected areas for 20minutes. Wash the honey with cool water. 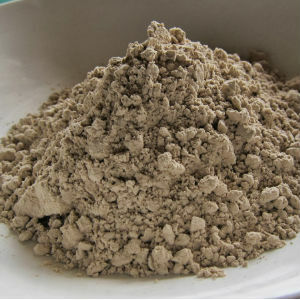 If your skin is irritated by dry eczema and itching, remember to resort to a natural healer – Clay. It has rapid healing properties, especially when it comes to skin problems. Coat the affected area with a small quantity of clay mash and let it dry for about 3 hours. Then rinse with lukewarm water. Repeat this procedure several times a week, depending on the severity of your condition. Apply clay on your skin and let it dry completely (it will take about 5 minutes). Repeat the procedure every day until dry skin and eczema symptoms disappear. Plantain can be mixed with nettles, agrimony, St. John’s wort, horsetail, yellow yarrow (fifty grams each). Take two spoonfuls of the mixture. Mix them with a spoon of prickly juniper. Boil the ingredients in 600 ml of water. Patients with eczema drink three times at a dose of 75 ml. The result may be expected within 2-3 days. Zinc and copper status in children with bronchial asthma and atopic dermatitis.